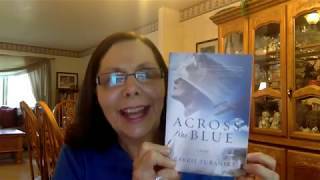 Carrie Turansky read 33 books of her goal of 20! To ask Carrie Turansky questions, please sign up. I have really enjoyed the Edwardian Brides series. 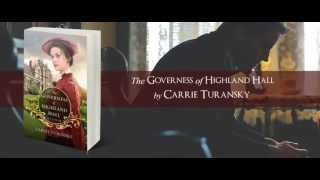 I have read both The Governess of Highland Hall and The Daughter of Highland Hall. Is there another book in this series and if not will there be one coming out soon? Thank you so much for your books. I find them so very refreshing. Debbie Harris Hi Carrie. Thank you so much for letting me know about the next book in this series. I can't wait until October. Carrie Turansky Hi Lexi, I'm sorry, I somehow missed seeing you question. I usually try to answer questions from GoodReads friends right away! I'm so happy to hear…moreHi Lexi, I'm sorry, I somehow missed seeing you question. I usually try to answer questions from GoodReads friends right away! We’d love your help. Let us know what’s wrong with this preview of Truth Unchanging by Becky Thompson. We’d love your help. Let us know what’s wrong with this preview of A Silken Thread by Kim Vogel Sawyer. This is the poll for July's Book of the Month - the book with the most votes will be the Group Read, and the book with the second most votes will be the Group Buddy Read. To help ebook lovers find Inspirational titles offered in this format. For the fans of our Downton Abbey companion books. Join us for our Summer Book Club and enjoy both fiction and non-fiction period novels. Thanks for your Goodreads friendship, Carrie! Hello Carrie! Wonderful to meet you in here!